Danny Lipford with tools to tackle DIY home improvement projects. This is a great time of year to get outside and tackle your home improvement to-do list. Here are three great products that will make taking on any DIY project around your house easier. Whether it’s drilling, screwing, cutting, sanding, or routing; the Matrix drill/driver from Black & Decker is the perfect combination tool for all your home improvement projects. The Matrix is available in both 12-volt and 20-volt cordless models, with a lithium-ion battery that hold a charge up to 18 months. 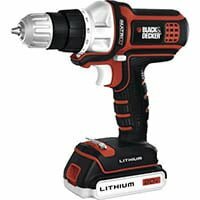 A corded Matrix drill/driver with a 4-amp motor is also available. Fast and easy drilling and driving are only the beginning with the Matrix. Thanks to the Quick Connect System and six optional accessory tools, the drill on the Matrix can be removed in seconds and an impact driver, oscillating tool, circular trim saw, detail sander, jigsaw, or router snapped on to take its place. Find out more about the Black & Decker Matrix. Titebond III Ultimate Wood Glue is the first nontoxic, one-part, waterproof glue that features easy water-based cleanup—making it the perfect adhesive for all your outdoor wood projects. Titebond III has excellent bonding strength and allows for longer (up to 10 minutes) open assembly time. It can be applied in temperatures as low as 47° F and cures to form joints up to 4,000-psi strong. Titebond III also sands easily and is FDA approved for indirect food contact, such as cutting boards. 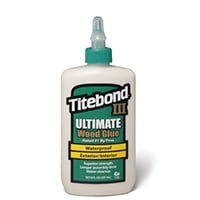 Find out more about Titebond III Ultimate Wood Glue. 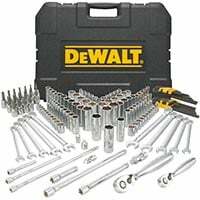 Whether you’re tuning up a lawn mower or building a playset for the kids, you don’t have to be a professional to appreciate quality wrenches and sockets, such as those found in DeWALT Mechanics Tool sets. These high quality tools provide 400% more gripping power to prevent slipping and last three times longer. The slim-head ratchet design features 72-tooth gears for easy operation, and the open end wrenches have an anti-slip design. Both sockets and wrenches come in SAE and metric sizes. DeWALT Mechanics Tools are available in 118-piece, 156-piece, and 204-piece sets. Each set features a selection of ratchets, sockets, combination wrenches, extension bars, hex wrenches, and a molded carrying case. Find out more about DeWALT Mechanics Tools.